Kolkata Knight Riders are one of the most successful teams in the history of IPL. The team has a huge fan following across the country and always enter the tournament as underdogs but surprise everyone with their strong performances. Gautam Gambhir led the team to their two IPL trophies after making it to the playoffs six times. A lot of legends have played for this prestigious franchise and a lot of youngsters as well, who went on to earn fame and money. There were some players who enjoyed their best IPL days with the franchise and once they left the franchise, they could not repeat the same success. In this article, let us take a look at three such players whose IPL career dwindled after leaving KKR. 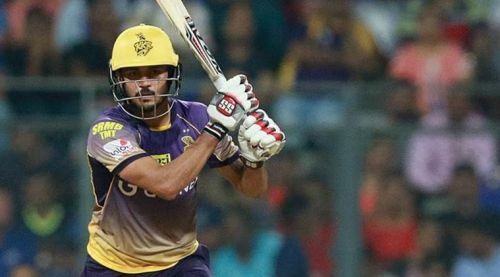 Manish Pandey was part of several IPL franchises before he came to KKR and it is SRK's franchise that lifted his career. In the 4 seasons with the franchise, he scored 1270 runs in 55 matches, accompanied by 6 half-centuries. He will be remembered for his 94 off 50 balls in the finals against KXIP that brought home the second title for KKR. This was the then highest run chase in any T20 final and Pandey was awarded the Man of the Match. However, he was not retained by KKR after the 2017 season and was bought by Sunrisers Hyderabad in the 2018 IPL auction for a whopping INR 11 crores. This raised few eyebrows because even though Pandey has a lot of potential, he has always been inconsistent. In the 2018 season, Pandey scored only 284 runs in 15 matches with a not-so-great strike-rate of 115.44. These are not the stats you would expect from such an expensive player and he was criticized by the fans and analysts. IPL 2019, Match 33, KKR vs RCB, Match Prediction: Who will win today's match? IPL 2019: Are KKR becoming too much dependent on Andre Russell?